The office will be open from 7:00 A.M. to 2:30 P.M. Monday through Friday. All visitors must register in the office upon entering the school building. In order to speak with or sign out a student, visitors must present proper identification (driver’s license or state ID) before access to the student will be granted. 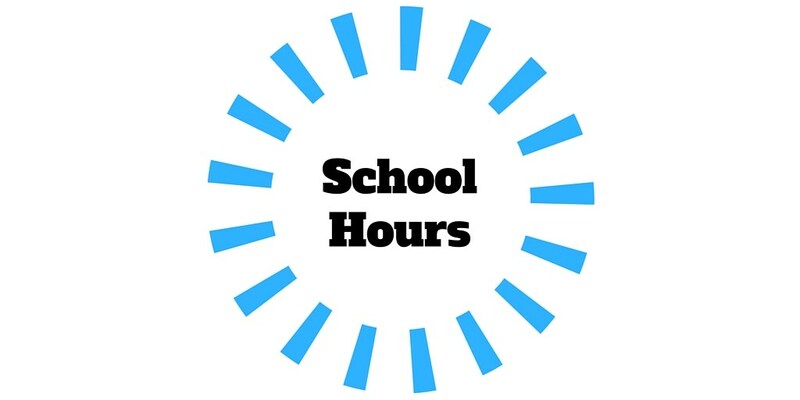 Per District Policy, parents/guardians who wish to visit a classroom will need to complete a form and give 24-hour notice. Visitors will sign in, be given a visitor badge, and accompanied to the classroom by a staff member. 7:35 a.m. - 2:25 p.m.
7:35 a.m. - 11:30 a.m.